The Forcello Archaeological Park in Bagnolo San Vito, a few km to the south east of Mantova, rises around the remains of an important Etruscan settlement from VI-IV centuries BC. The archaeological excavations conducted on the site from 1981 to date, under the scientific management of Prof. de Marinis of the Università degli Studi of Milan, have brought to light, year after year, just a small portion of this settlement, but with a long stratigraphic sequence, defined in eight main phases. The Archaeological Park project came about from the need to safeguard at least a part of the settlement from insistent and destructive agricultural work and in order to give worth to and divulge the scientific results obtained from the excavations. The discoveries made at the Etruscan settlement of the Forcello, the wealth and importance of which have been noted in the scientific field for some time, finally have a useful way of being published and put to good didactic service. The work carried out on the first lot, and concluded in September of 2004, was to build access to the area, a multimedia hall, a research laboratory and some covered areas for future animation centres and experimental archaeology workshops. The second lot, which was concluded on the 29th and 30th September 2006 with the inauguration of the park, saw the furnishing of the workshops with didactic panels, the activation of the multimedia hall with specialised equipment and the reconstruction of two kilns for pottery firing (Roberto Deriu- Gesti Ritrovati), and a loom; both examples of the artisan activity certified at the Forcello. 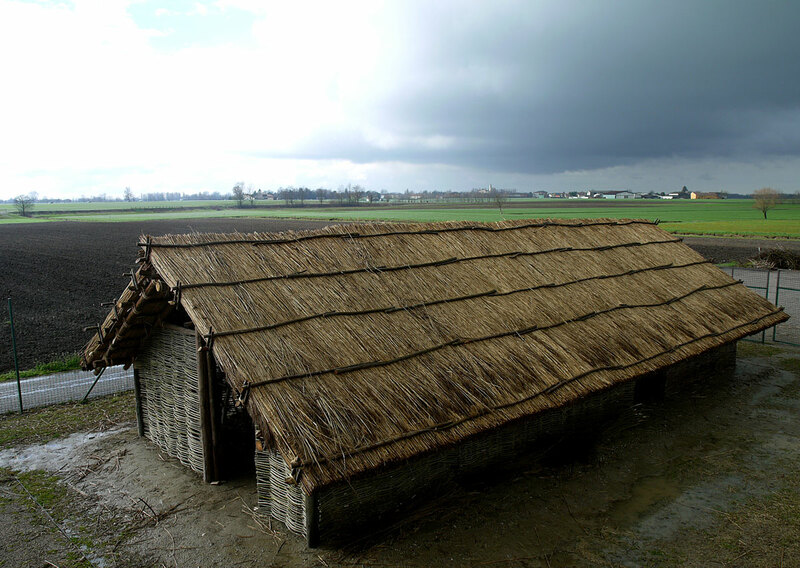 A visit to the Forcello Archaeological Park includes an introduction, through which, with the aid of didactic panels, visitors can approach the history of the Padan Etruria and, in particular, the Forcello settlement. Inside the workshops, there is a reconstruction of a loom and outside, of the two pottery kilns, both created on the basis of archaeological proof and both also equipped with didactic panels. For schools, of every class and level, there are laboratory activities on various themes pertaining to the craftsmanship at the time of the Etruscans and on the profession of an archaeologist. For adults, they organize demonstrations of experimental archeology and workshops, to be structured over several days, on a variety of subjects. Born in Mantova 26.07.1968. In 1994 she graduated in Classics at Bologna University with a research thesis in Near East Archaelogy and History of Art, “The hero fighting with the lion in the First Millennium B.C. Near East Art” (supervisor prof. S. M. Cecchini). 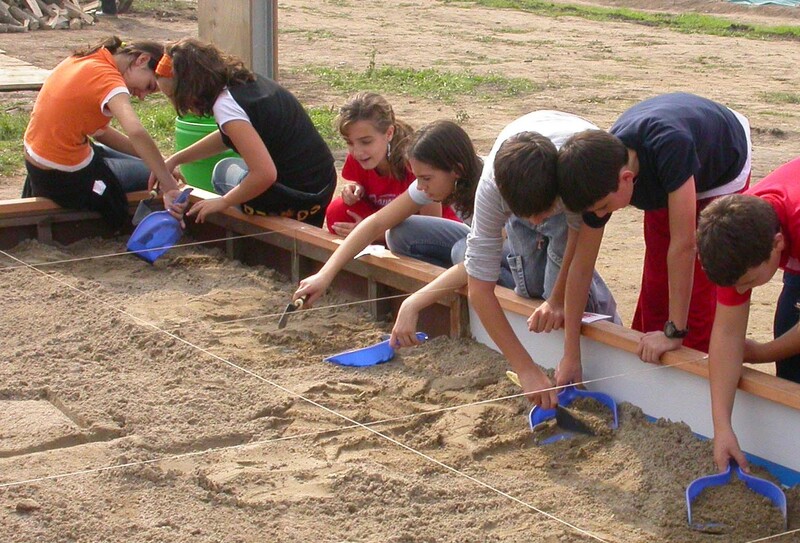 Then, she took part in excavations in Mantova commissioned by the Lombardy Archaeological Authority. From 1997 to 2004 she worked in a pottery workshop, where she could learn pottery technology and cooperate with schools and local museums using clay in educational process. She has worked since 2005 as professional archaeologist in emergency excavations in Lombardy, Veneto and Emilia Romagna (Northern Italy) in various contexts, especially prehistoric and protohistoric. In 2006 she began to work in Forcello Archaeological Park as an educational operator. She also worked as a guide in archaeological exhibitions and collaborated occasionally in setting up educational labs with the National Archaeological Museum of Mantova. She is currently the part-time curator of Forcello Archaeological Park in Bagnolo San Vito (MN).